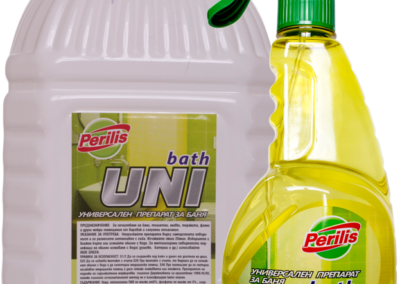 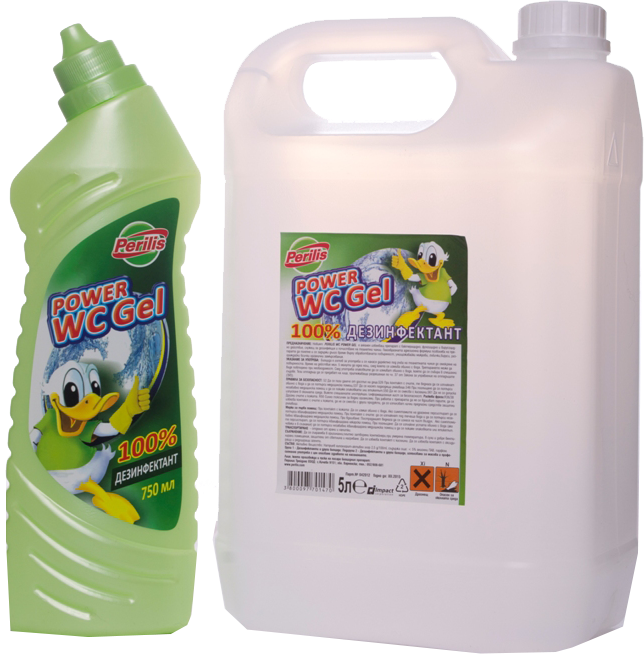 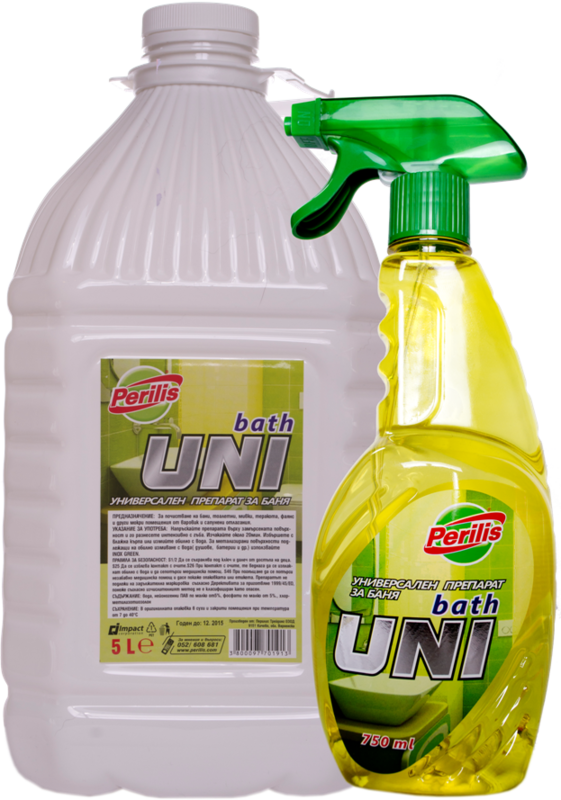 Power WC Gel Desinfectant – Alkaline bleaching agent with bactericidal, fungicidal and virucidal action serving as disinfection and cleaning toilets. 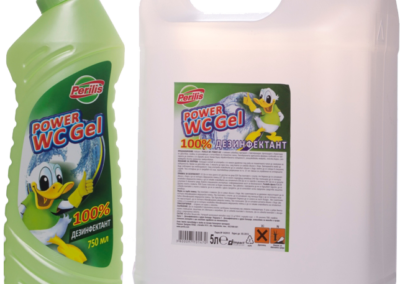 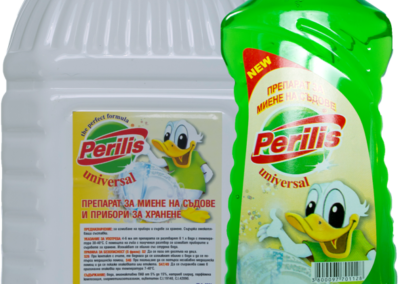 Faience Super Power Gel – Cleaning gel for toilets, faience units,wash basins, baths. 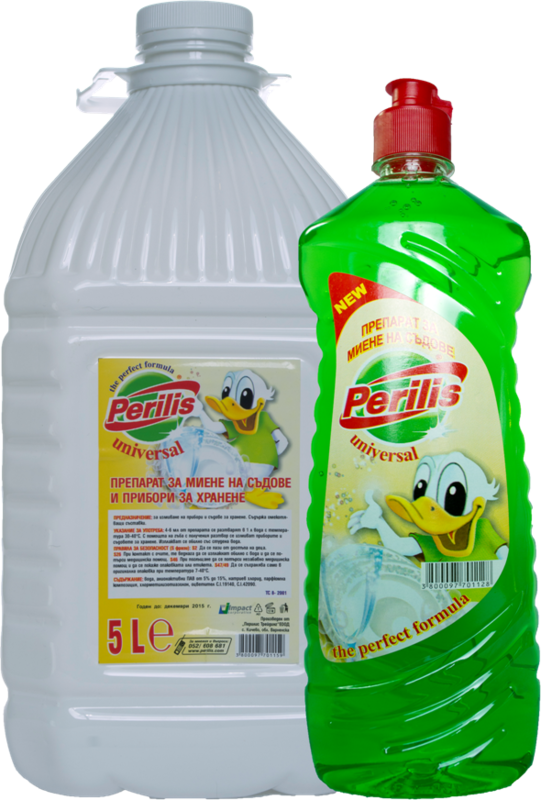 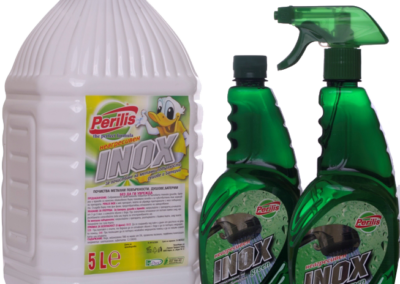 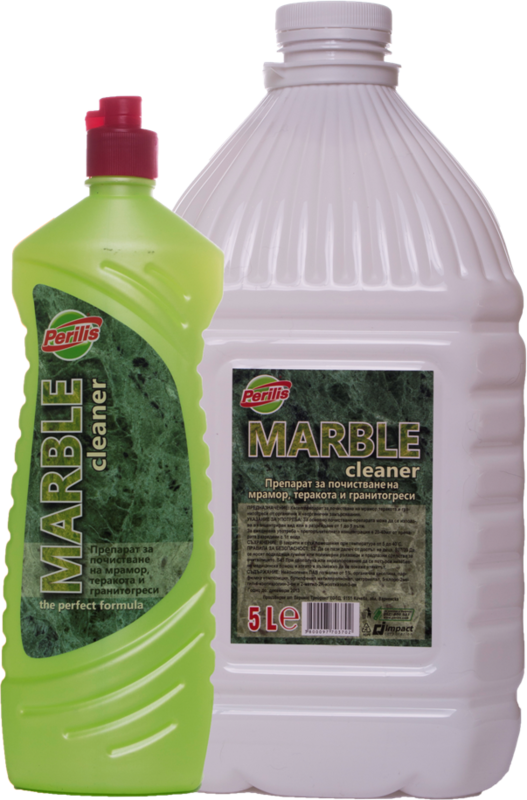 Poly floor – Floor cleaner for all surfaces like tiles, wood, laminate, etc. 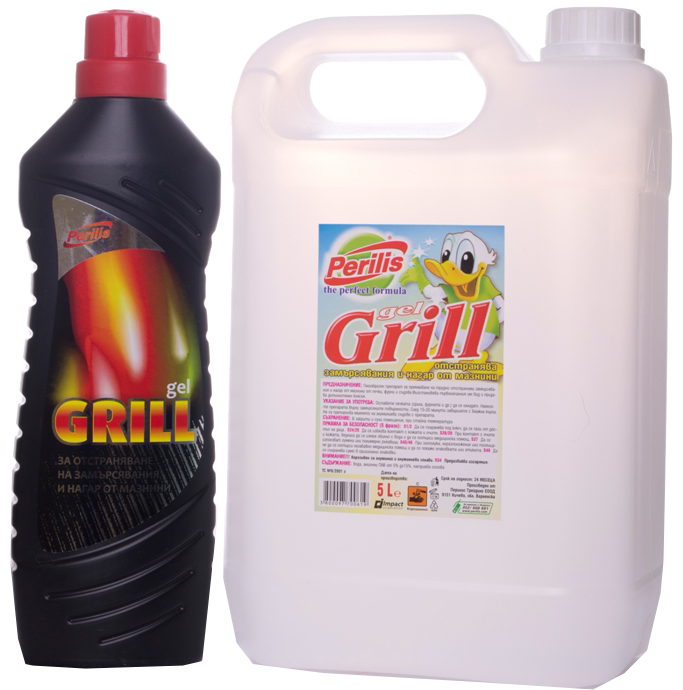 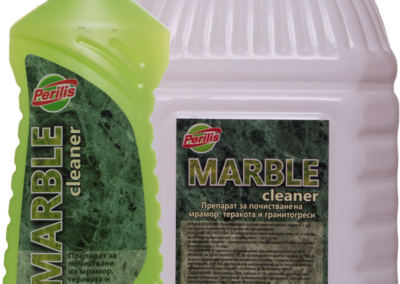 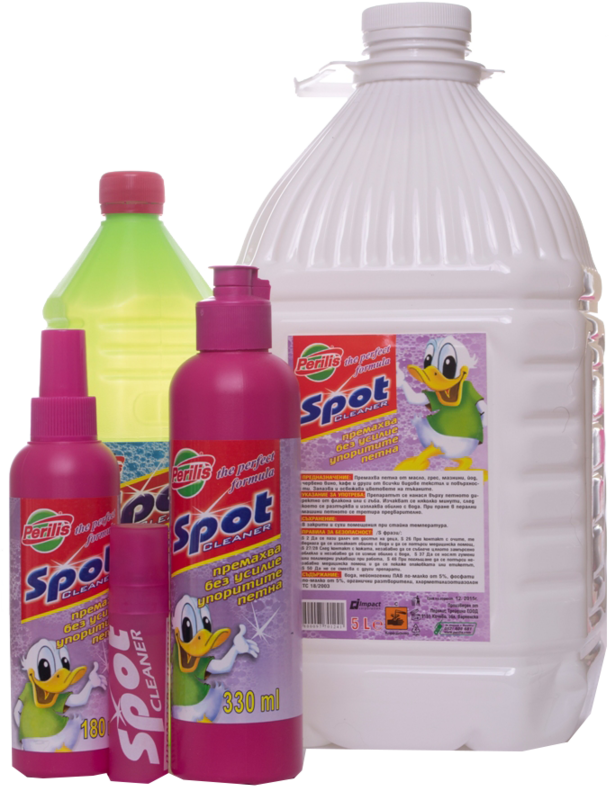 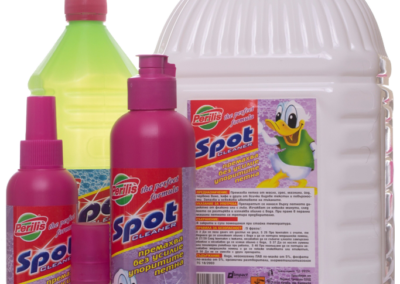 SPOT – Multicolor stain remover for all kinds of textiles and surfaces. 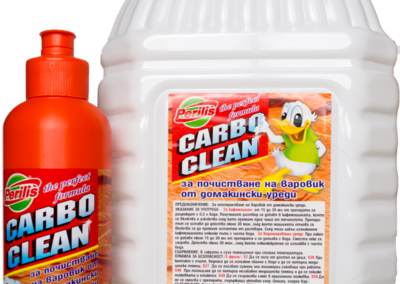 Removing grease, oil, wine, coffee, iodine, etc. 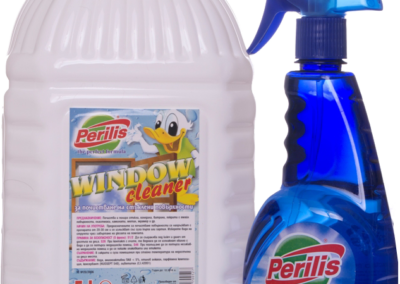 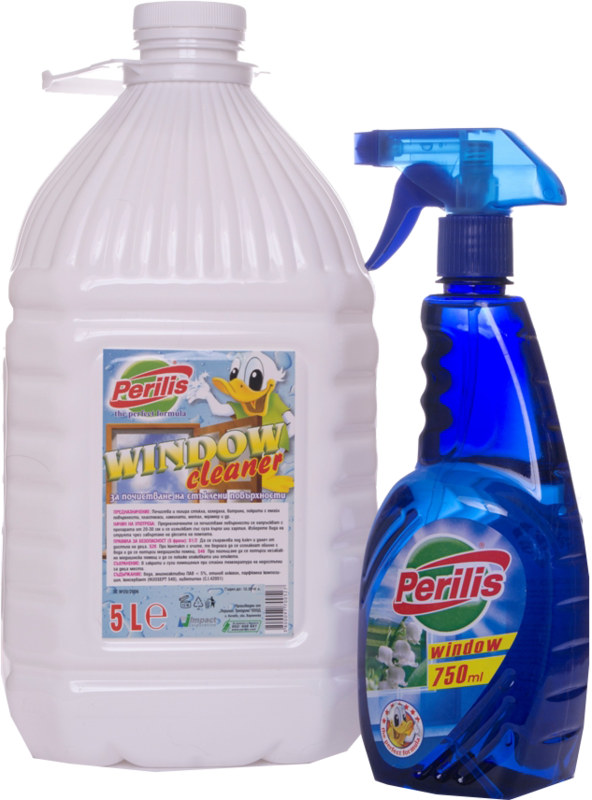 Window cleaner – Cleaning and polishing substance for panes, mirrors, shop- windows enamelled, plastic and metallic surfaces. 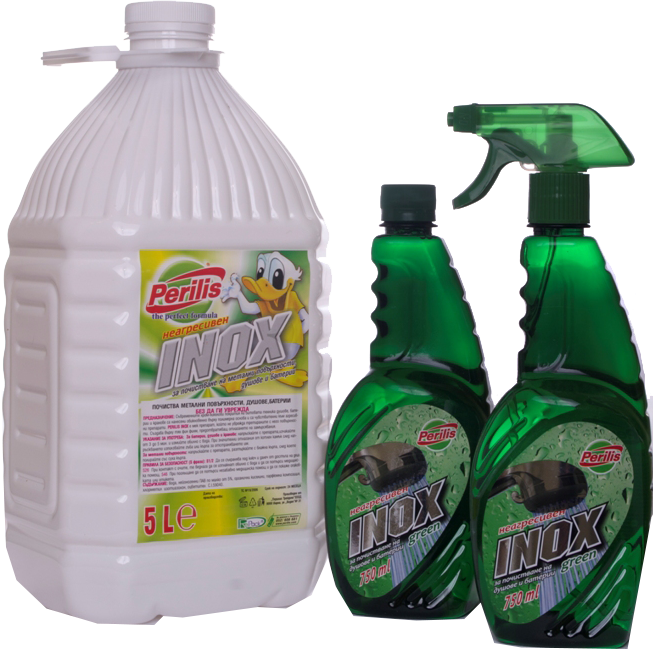 The package of 0.500 L and 0.750 L are equipped with an atomizer. 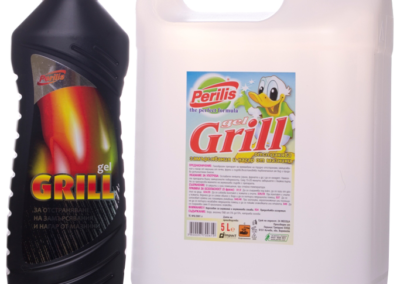 Fillers of 0.500 and 0.750 l available. 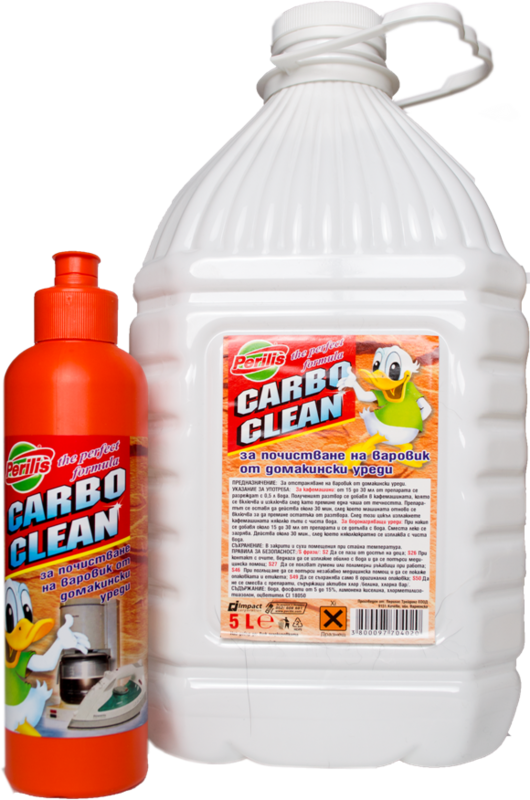 5 Liter tube is available.